A 7 week ONLINE nutrition bootcamp. Dr. Jamie will teach you how to EAT REAL FOOD for REAL CHANGES. You will not only learn WHICH changes to make, but HOW to make them and WHY they are important for your health! In 7 weeks you will develop the tools and strategies necessary to prepare healthy food for a lifetime! The next Program will begin in January! It is 7 weeks long. Monday, March 12, and it will run through Sunday, April 29. The first week is an introduction. You will not be expected to make any of the recommended dietary changes during this week. I want you to be successful, so during this week we will learn how to shop and prepare meals so we can all start off on the right foot with the recommended food lists beginning in week 2! You will receive a detailed list at the beginning of the program of which foods to eat freely, which to eat in moderation, and which to avoid completely. Emails will contain videos, recipes, tips, and/or surveys to make sure you understand the lessons and stay on track. Having Problems? You will have access to Dr. Jamie through email or Facebook (optional) for troubleshooting. There will be an optional private Facebook group that you will have access to so you can get ideas from not only Dr. Jamie, but other course participants. You will take before and after measurements and metabolic assessments so we can track your progress. We will set short and long term goals to help stay on track. We will systematically re-introduce foods toward the end of the program to accurately tell if you suffer from food sensitivities. How foods cause inflammation and disease that leads to weight gain. It isn't about counting calories or eating less. It is all about eating the right foods! How to heal your gut so you can better absorb nutrients and get rid of digestive symptoms. Gas, bloating, constipation, and diarrhea are NOT NORMAL, and you don't have be be suffering from them! How to successfully plan meals, shop, and prepare for success. How your gut has a direct impact on your brain and mood. You want to move toward your ideal weight. You want your family to be healthy, be a good example for them, and teach them life-long healthy habits. You have digestive complaints like gas, bloating, constipation, diarrhea, etc. These symptoms are NOT NORMAL, and you don't have to live with them! You want to BALANCE your hormones (for fertility, menopause, erectile dysfunction, PCOS, thyroid conditions). You need better control of your diabetes, you have been diagnosed with pre-diabetes, or have a high A1C or fasting blood sugar. You get joint pain or have arthritis. This does not have to be a normal part of aging, and is a huge sign of an inflammatory reaction going on under the surface. You have a skin condition like acne, eczema, or psoriasis. What's happening on the surface of your skin is a reflection of the inflammation in your body! You have a brain condition like depression or anxiety. The gut and the brain are connected, and healing the gut can make a huge impact on mental conditions! You have been diagnosed with an auto-immune condition like MS, Lupus, Rheumatoid Arthritis, etc. You want to get off the yo-yo diet roller coaster. You are looking for a magic bullet quick fix to health problems. I will teach you what to do, but I can't do it for you! Participants must keep an open mind to information presented, and be willing to make dietary changes! You are a Vegan who is not willing to consume any animal products. I believe consuming some animal products is vital to our health. What Do People Say About Dr. Jamie's 7 Week Nutrition Boot Camp? 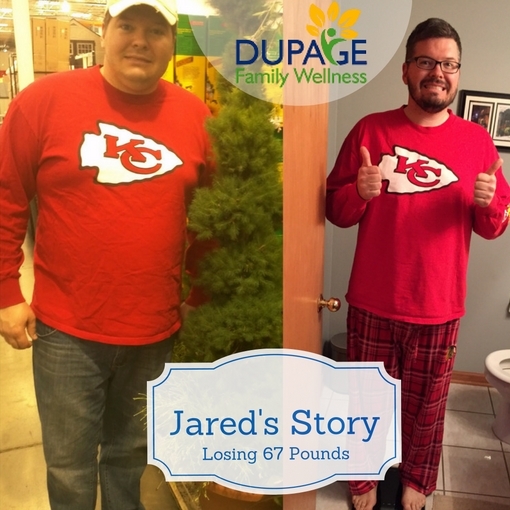 In 7 weeks you should feel MUCH better and be on the road toward improved health! That being said, it took you many years to get to where you are in terms of digestion and inflammation, and it will likely take more than 7 weeks to fully heal. The program will give you the knowledge and tools needed to continue to eat a nutrient dense healthy diet. 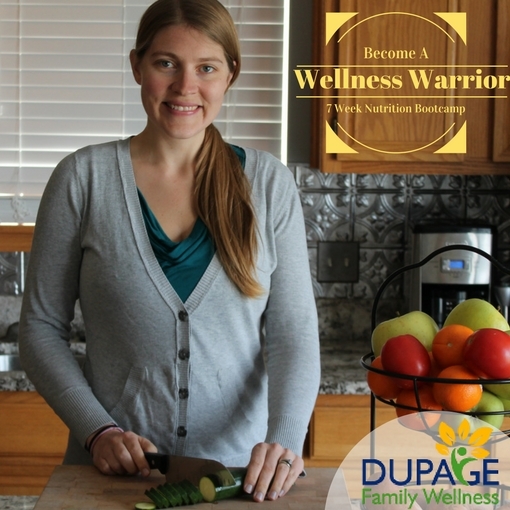 Upon graduation, you will be invited to join my Wellness Warriors Tribe where I will continue to send articles, recipes, etc. to keep you motivated! We will build a COMMUNITY of people who are excited about feeling their best and want to eat real food to stay healthy!! It's easier to eat right, when you are surrounded by others that want to eat right. Part of the program includes a metabolic assessment used to determine which areas of the body are not functioning ideally (intestines, liver, gall bladder, thyroid, stomach, hormones, blood sugar control, etc.) This assessment will be taken at the beginning and end of the program. Through making the recommended dietary changes, many of the problems that are present initially will naturally disappear. When the final assessment is taken, I will review the before and after metabolic assessments, and give recommendations for specific changes that could be made to help further heal any systems that are still causing problems! At this point, there will be specific plans that I will offer on an individual basis as needed! This program is not about limiting your calories for weight loss. This is NOT a crash diet! If you have weight to lose, following this program will help move you in that direction. This program is designed to help you reduce inflammation in your body, heal your digestive system, and make it so you feel better! The Standard American Diet (SAD) is linked to so many common health problems, and I want you to learn how to decrease inflammation in your body to rid yourself of these conditions! While this program is intensive for 7 weeks, Dr. Jamie's goal is that you to learn what you need to know for LIFELONG changes to your diet to improve your health and longevity. You can learn skills and form healthy habits that will help you to feel better for a lifetime!